STOX Energy Blog - This is how you recover from a busy day at work! This is how you recover from a busy day at work! We now live in a society where everything goes fast, and where different kinds of tasks are mixed up. It's nice to have variety, but it also causes fear that you overlook something. New means of communication and technology are increasing the speed of all kinds of processes, we are getting busier and busier. Not surprising that you come home exhausted after a working day. That you feel tired after all these efforts isn't bad at all, but it's important that you recover in time before the next busy day starts. When you can't successfully recover after a busy day, the next day becomes even heavier. It's becoming increasingly difficult to keep your work at a good level, because you still have stress in your body. You can thus end up in a negative spiral. This might have unpleasant consequences, such as sleep problems, a burn-out, physical complaints and work-related absence. And that's of course not how it should be! Many people are going to sit in front of the TV in the evenings to shift their thoughts. But is that effective? Scientific research shows that zapping is not a good way to recover from a busy day. This often causes you to feel less energetic: you have the feeling that you could have spent your time better and sometimes you feel guilty about it. In addition, when we watch TV we are often unconscious thinking about the difficulties of that day, and we keep ourselves busy checking social media. But by worrying we won't get rid of the stress. Fortunately, there are a lot of ways to get rid of your work stress! The best solution is doing something wherefore you have to concentrate and exert yourself: the task will easily take all your attention so the work stress disappears into the background. You can, for example, spend some time with friends or find a hobby to focus your thoughts on. Also very effective in switching your mindset, is moving. Many people love to exercise after a busy day. Then you can just focus on sporting, and make your head empty. 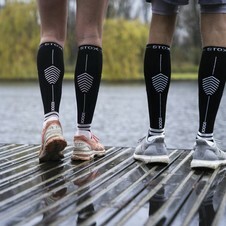 The Running Socks from STOX can help you get the energetic feeling back: they, amongst others, assure a maximum oxygen provision for your muscles and stimulate your blood circulation. Even more effective than combating the effect of a busy working day, is to ensure that a working day will give you less stress in the first place. You can influence this yourself very well, and when you come home you will need less time to recover. For example, it is important that your tasks are challenging but not impossible. In addition, there must be sufficient variation in the tasks. It is also important that you have contact with other people, and that you get enough feedback. Of course it also helps enormously if you like the work you do, and the reward you receive for the work you do should be high enough. Look for a balance between work and rest, also when you're at work. Try to close your workday well when you go home, so that you don't have all kinds of work-related thoughts in your head. 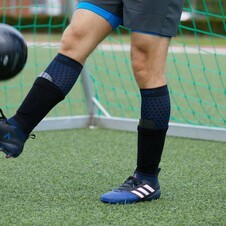 In order to increase your productivity and also prevent tired legs (whether you're sitting, standing or walking, in all professions you can suffer from it...) the specially developed Work Socks are indispensable. 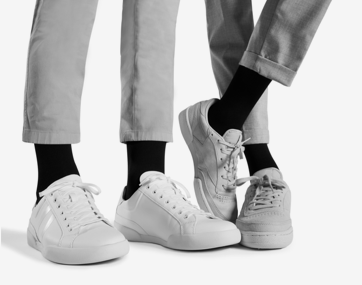 Because of compression that gives pressure from the ankles towards the knees, blood flows easily upwards and waste products can be quickly drained. You won't get any problems with swollen feet, and the socks also ensure that your feet have a pleasant temperature. So you're already recovering before you run out of energy! > STOX Energy Blog	> This is how you recover from a busy day at work!